Nine nights of sheer revelry is upon us. The twirling lehngas and the dhol tasha, the rhythmic clicking of dandiya sticks and the joy of matching steps with friends and even strangers, bound by the love of celebration. Navratri is the time for the best and the most vibrant ethnic fashion. You may choose to go completely traditional with a chaniya choli, or experiment with a funky lehnga sari or a flared skirt and daring choli. All you need are a pair of super comfortable juttis or mojris and loads of energy to keep you on your feet and dancing through the night. 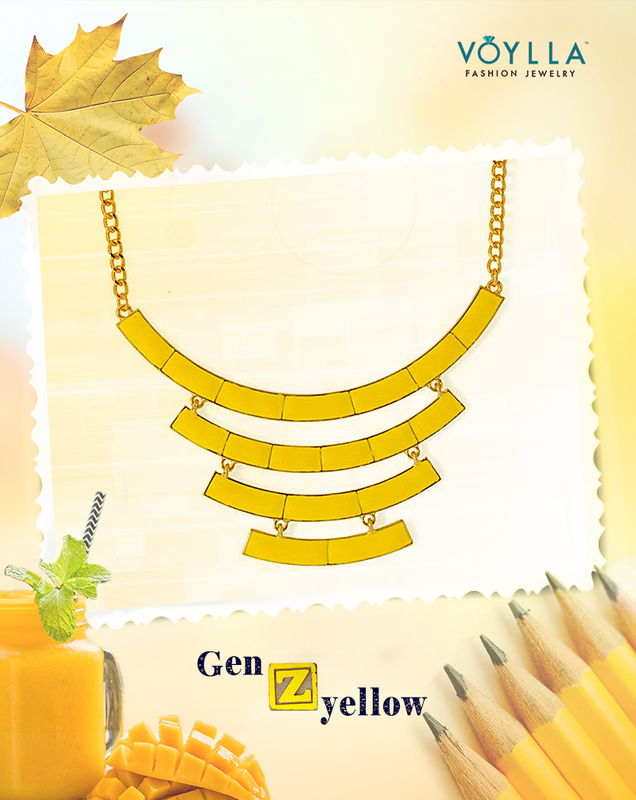 Navratri is the time to go all out on accessories. All those subtle, delicate, minimalistic jewellery can come out some other day. This is an occasion to go big on bling, show the world what you got. 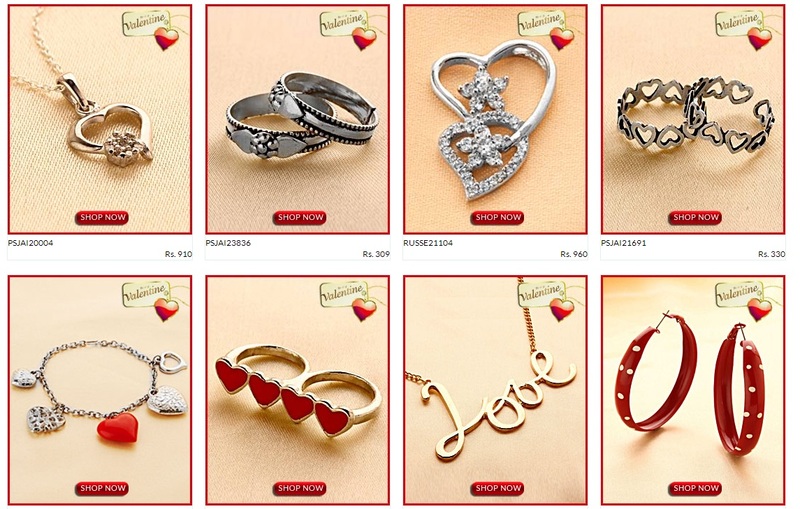 So think colours, think eye-catching designs, dazzling earrings, and tinkling bangles. 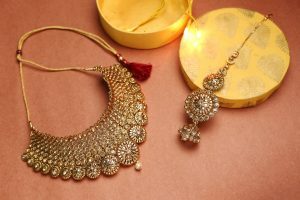 At Voylla, we have hundreds of options for festive jewellery for you to complete your look of the night, during Navratri. 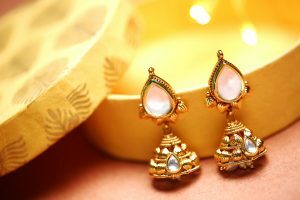 Our Navratri Jewellery is high on style, and easy on your wallet, making it super easy for you to buy as many baubles as you want for all your nine nights of celebration. This is one of our most popular bangle designs and it is easy to see why. 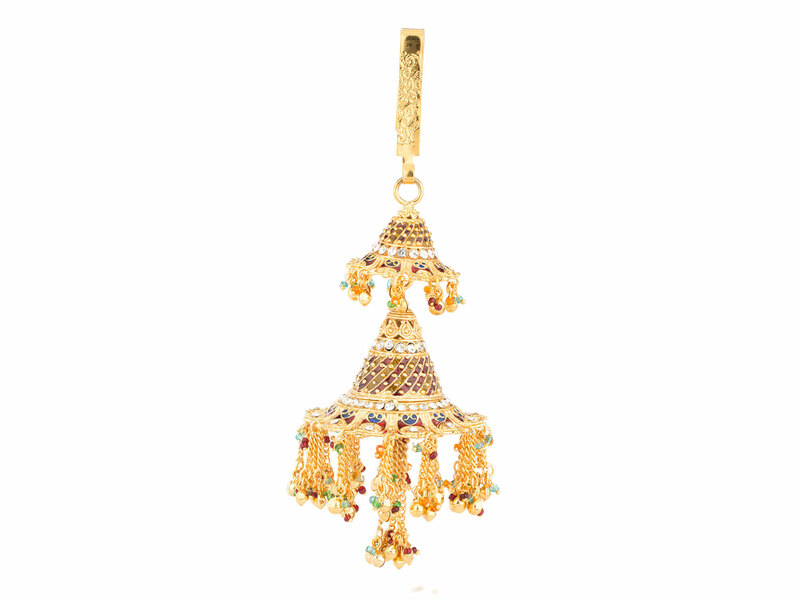 This beauty comes with tiny cluster pearls and perfectly hand-crafted bells that will dangle in sync with your dance moves on the Navratri dance floor. 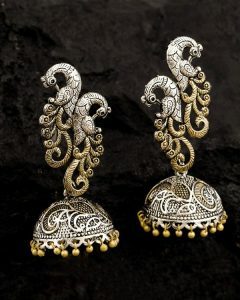 An absolute stunner, these oxidised Peacock jhumkis are bound to put you in the spotlight. 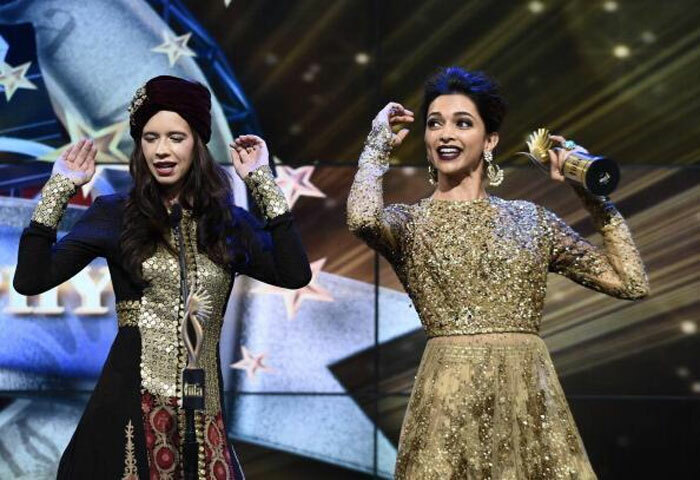 Oxidised jewellery is back with a bang, thanks to so many of our favourite stars wearing them to the red carpet. 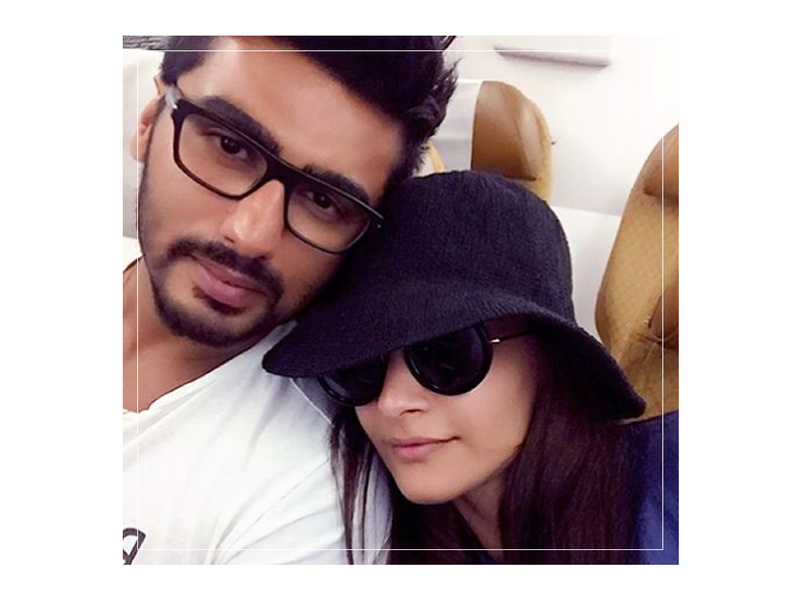 And here’s your chance to stay in trend and make a statement too. Our all-new Kesar collection has colourful beads with beautiful oxidised jewellery to add a pop of fun to your traditional look. The festive orange beads that mark this festive collection of oxidised earrings, will go beautifully with your Navratri outfits. 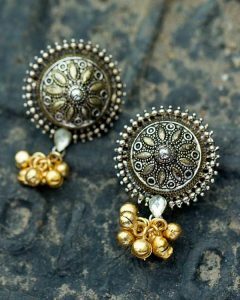 Our meenakari jhumkis are an all-time Navratri favourite. 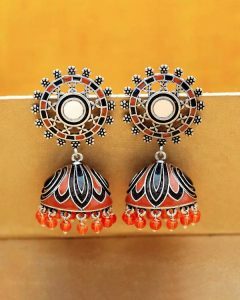 Available in a variety of colours and designs, these jhumkis are a great add-on to your Navratri look. Pair them with your fusion wear or your traditional attires and you are ready to twist and twirl! Since oxidised jewellery is the look of the season, why not play around with dual shades of silver and gold for a bit of drama? 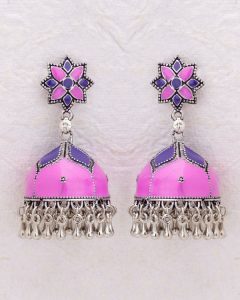 These duet earrings – ghungroos with a stud – are the perfect pair to wear with your Navratri attire. 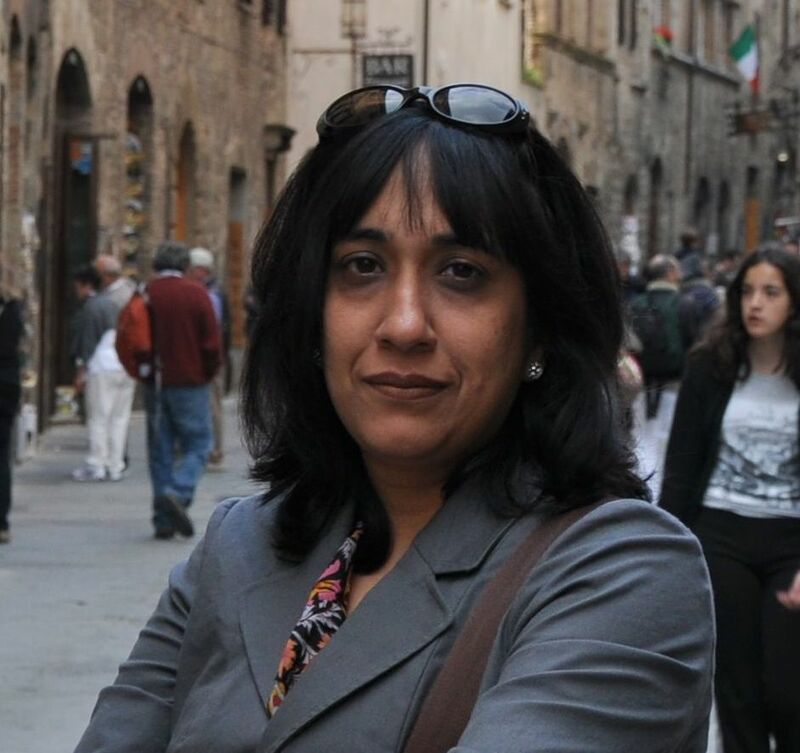 Ikkat jewellery is all the rage. And why not? 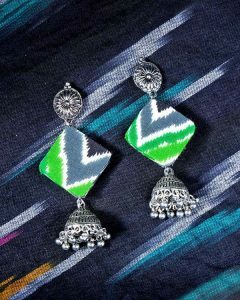 When you get happy, young colours in the traditional Ikkat patterns, designs that are oh-so-versatile, it is difficult to say no to these beautiful earrings. 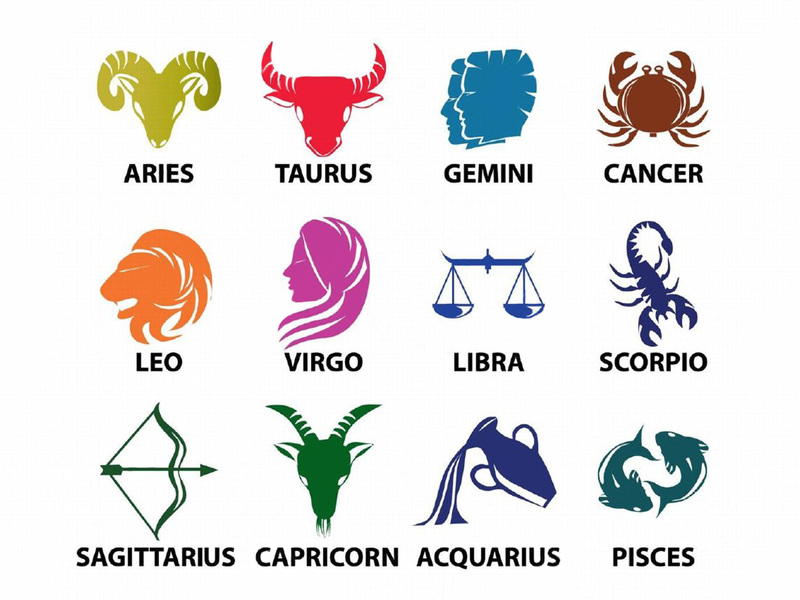 Very Navratri friendly. Very Trendy. Very stylish. 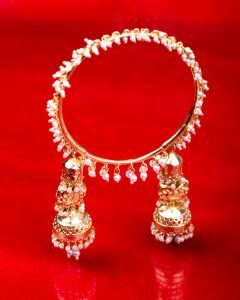 There is nothing, absolutely nothing, that can replace that special place in every girl’s heart for classic kundan jewellery. And we know that. Which is why we picked this simple yet glamorous kundan maang tika set for your Navratri fashion collectibles. Tips To Impress Her This Valentine’s Day! 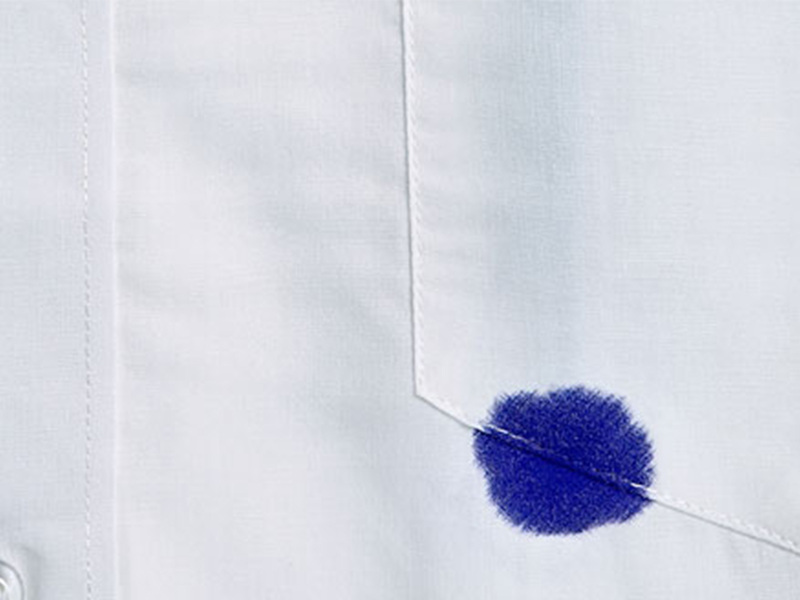 7 Fashion Hacks That Will Make Your Life Simpler. Guaranteed! Voylla launches an affordable jewelry line- NIA!